We understand, you’re excited! 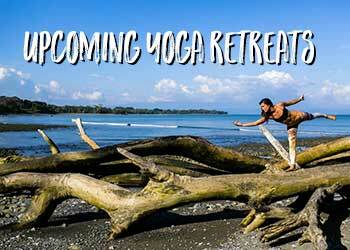 You’ve decided to embark on the journey of a 200-hour yoga teacher training in Costa Rica. But surely you’ve also got some apprehensions about the trip. After all, this is unlike anything you’ve ever done before, in a place you may have never been. You’ll meet new people and be in a totally strange place for 2 whole weeks! But, have no fear. 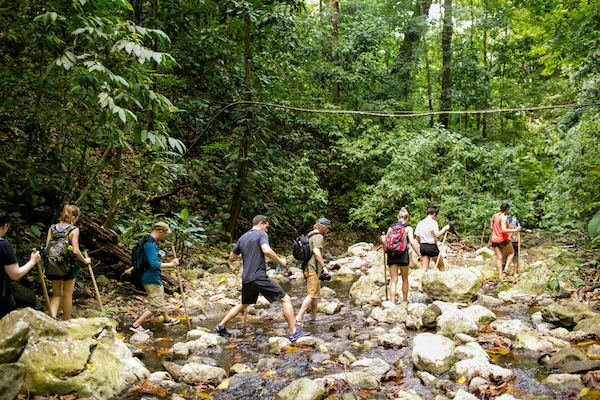 We’ve put together some tips to help you survive 14 days with us in the jungle. Get ready for a breathtaking, challenging, and rewarding ride! Join Yogi Aaron for a Yoga Teacher Training! No matter what time of year it is in southern Costa Rica, you’ll enjoy warm weather. In our neck of the rainforest, it’s usually humid and lush with a nice, warm gusts off the ocean. While it’s very pleasant, and our personal favorite climate to live in, it also means that most yoga you do here will be hot yoga! Since we don’t use air conditioning for energy conservation reasons, our open-air studio is equipped with plenty of ceiling fans and is complimented by that ever-present sea breeze, but sweat is definitely inevitable. Embrace it and make sure you follow our next tip…. 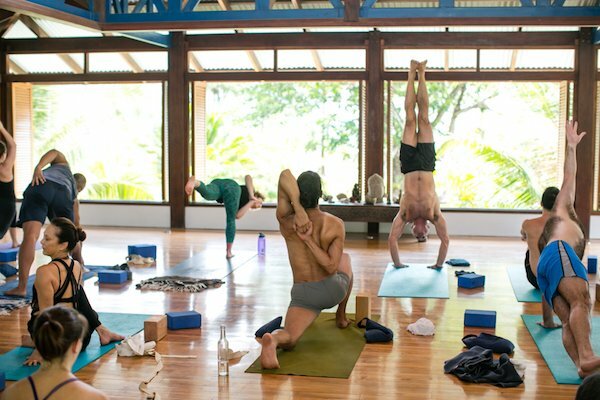 You will definitely need to drink more water than you’re used to during your 200-hour yoga teacher training in Costa Rica. You’ll be doing more sweating and more yoga than you’re used to. Plus, it’s always a good idea to up your H2O intake while travelling. Bring your own bottle, and we’ll do the rest- we provide fresh, delicious drinking water to all our guests! As we mentioned above, we try to be as eco-conscious as possible, which means no air conditioning, and we ask our guests not to use hair dryers and similar items to save electricity. Since we live so closely with our surroundings and its inhabitants, we are hyper-aware of our impact on the natural beauty we are blessed with. 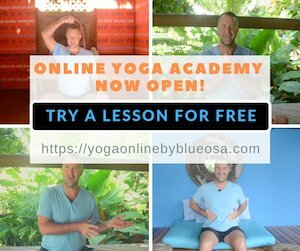 Bringing just the basics will contribute to the simplicity of, and integration with, your environment so you can fully and truly immerse yourself into your practice and the teachings you’ll be receiving. Also, hair frizzes and makeup melts right off in the jungle, so remember that less is more, and that appearances don’t matter. Let your true beauty shine through! …Speaking of being low maintenance, you’ll be surprised what you don’t need for 14 days in the jungle. One pair of pants (something flowy and breathable works best) for buggy nights is plenty, but the rest should be swimsuits and yoga clothes. Socks are usually unnecessary, and you’ll need fewer undergarments than you think. Check out this article for more suggestions, and remember- the less you bring with you, the more space you’ll have to bring things back, both literally and metaphorically! We are definitely not trying to scare you off here, but since we do live in the jungle and we are very off-grid, our companions both fuzzy and creepy are bound to pay us a visit from time to time. Our toads are frequent friends, and have a penchant for hopping into our paths at night. And we do have lizards (pretty cute ones, to be honest! ), snakes, insects and spiders that are larger than you’re probably used to. Just remember that it’s true what they say: they are likely way more scared of you than you are of them. Though they may surprise you and give you a fright, they aren’t looking for a fight. We live in their habitat, so we learn to be gentle with our animal kingdom cronies and to laugh off our fears to cohabitate in harmony. I’m willing to bet that you want to do your yoga teacher training internationally because you’re also trying to satisfy your wanderlust. And if you have wanderlust, that means you also love adventure. Costa Rica is the perfect place to kill three birds with one stone. 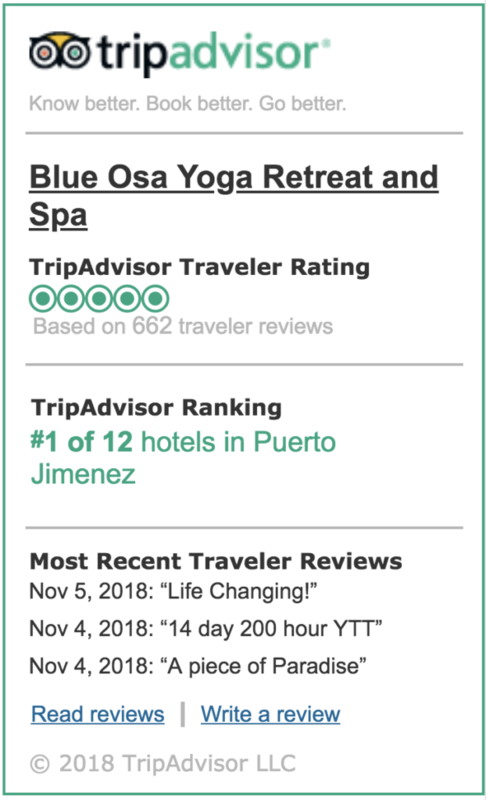 Not only does Blue Osa deliver quality yoga teacher training in an exotic location, but we also offer many eco tours to add further adventure to your time here. You can make your trip even more unforgettable with boating and snorkeling, waterfall rappelling, kayaking, spending time exploring local indigenous culture, and so much more. The best part is, you can book your adventures right at the resort, and you don’t have to travel far from home base to get there. NOT SURE IF YOU’RE READY FOR YOGA TEACHER TRAINING? 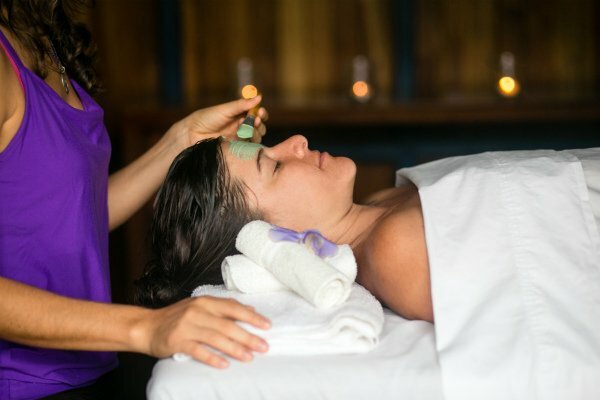 If you’d rather relax than run amok during your free time, our spa treatments can be the perfect compliment to the hard work you’ll be doing during your yoga teacher training in Costa Rica. A massage, some time on the beach, next to our chemical-free lap pool, or chilling in a hammock are great ways to unwind and refresh so you can continue blissfully on your yogic path of transformation. As much as you can, try to leave distractions at the door. Since you chose to do your yoga teacher training in Costa Rica, this is the perfect opportunity to leave behind stresses, frustrations and distractions of home where they belong- back at home. You deserve to be fully present for this important time of learning and goal-setting. You’ll absorb more and have a more rewarding time if your focus and give this your full attention. May we also suggest a digital detox? Your 200-hour yoga teacher training in Costa Rica is going to be challenging- emotionally, physically and mentally. So leave all judgments of yourself and others at home. This is a time of rapid growth and learning, and sensitive, raw bits of yourself will be bared. Just remember, this is a safe space full of loving, supportive people. Who cares if you do a little crying on your mat? Who cares if you come up against a pose that gives you trouble? It’s all part of the experience, and it will all make you a stronger person and better teacher. Study ahead of time by doing some relevant reading. Use your teachers and your peers as sources of knowledge and support. And don’t forget your most important resource: your intuition. Don’t be afraid to ask questions, don’t be afraid to trust your gut. This is an amazing opportunity to get in touch with your true self, and to learn the confidence and power that comes with fully embodying that self. Your yoga teacher training in Costa Rica, while being a wonderful, beautiful experience, is also going to be challenging and hard. Your patience will be tested, as will your willpower. But stick with it- you will not regret it. Nothing truly worth doing is ever easy, and you will come out the other side of this with confidence, direction and inspiration! At Blue Osa, mornings are sacred. 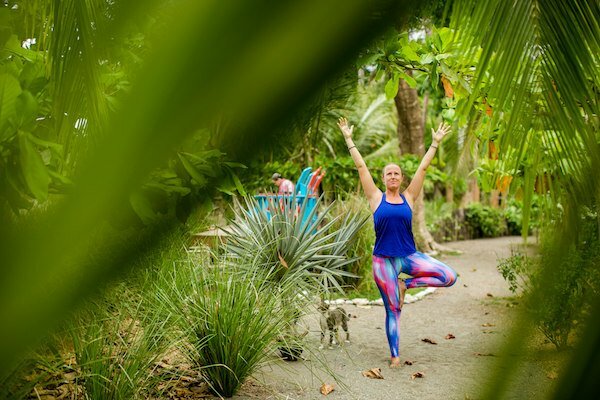 During your 200-hour yoga teacher training in Costa Rica, you’ll wake before the sun for morning meditation, and then observe silence until 7:30am. We think this is the best way to start the day with intention and ruminate on how we’d like the day to go. 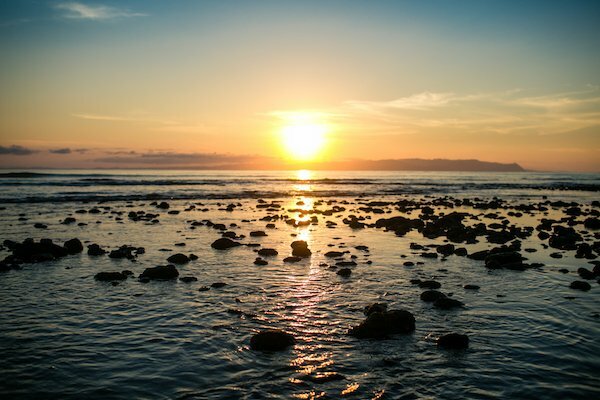 After all, there is no better way to watch the sunrise than over the ocean, sharing silent space with other like-minded individuals in paradise! Although you can prepare yourself for a 200-hour yoga teacher training by strengthening your personal practice and doing some relevant reading, there’s really no way to know what will happen or how you’ll feel. When you decide to commit to this path, remember that all you need to do is show up and do your best. This experience will be the most rewarding if you can stay in the moment and show up with an open heart. You will learn so much about yourself and your practice, and you will make lifelong connections with your fellow yogis. It’s a challenging journey, but one well worth embarking on! 1. Prepare to Be Transformed! They say that the best way to learn a new language is to immerse yourself in the culture, right? The same is true for your 200-hour yoga teacher training in Costa Rica. Wholly dedicating your time and focus to your practice and studies for two solid weeks is an excellent way to make a powerful connection with your practice, and to thoroughly learn the skills you need to be a great teacher. Blue Osa provides a tranquil, beautiful space for you to truly transform your lifestyle and your relationship with yoga, and to solidify your goals for your practice. A yoga teacher training in Costa Rica really does change your life, and an immersion does so even more intensely. Because of the consistent daily routine and calm, centering environment, you will develop habits to last you a lifetime. 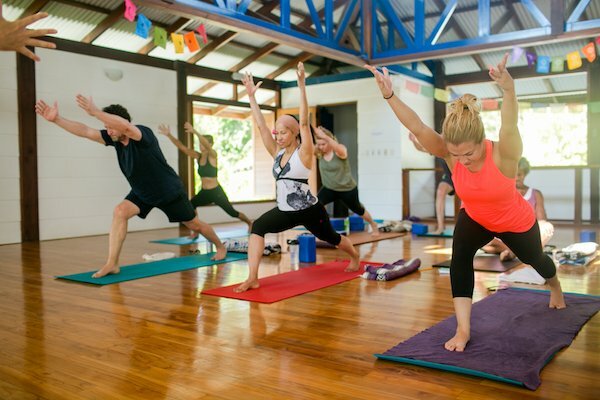 Whether your goal with this training is to bring the gift of yoga to your future students, or simply to expand your own connection with yoga and meditation, Costa Rica is the perfect paradise. Take this time to make your practice and your teaching style part of who you are. Don’t hesitate to contact us if you need more pointers on how to survive your training, and check out our upcoming training dates to find out when will be the perfect time for your yoga teacher training in Costa Rica! This looks so much fun! I wish I can be a yoga instructor and come to events like this.